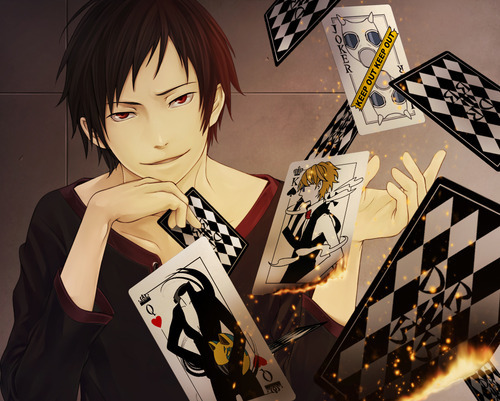 Izaya. . Wallpaper and background images in the 1Izaya Orihara club tagged: orihara izaya durarara!! drrr! anime orihara izaya. This 1Izaya Orihara fan art contains アニメ, 漫画, マンガ, and コミック. There might also be 看板, ポスター, テキスト, 黒板, サイン, 新聞, 紙, 雑誌, タブロイド紙, ぼろ, タブロイド, and 布.